...a birthday into the Church, that is! Today is the anniversary of my (and my twin's!) baptism. Our family loves to celebrate baptismal (and other sacramental) anniversaries. We often keep the celebration simple, but special. (Our family does the same sort of thing that Kendra's does - at least three special days per year, with a few others thrown in for good measure!) We went to Mass together as a family this morning, and out for ice cream to our favorite ice cream joint tonight. Simple, but different than the usual Monday activities. When I get my act together, we like to light the special person's baptismal candle for dinner, too (but I forgot today). Looking for some ideas for celebrating the Sacrament of Baptism in your family? 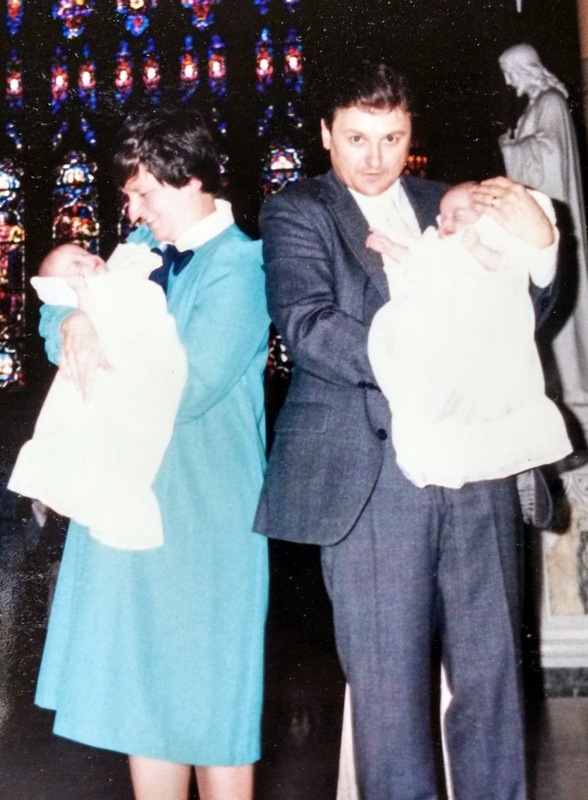 Check out Our Family's Baptism Traditions! I also would be remiss if I didn't recognize two of the most special women in my life, both of whom have patron saint days this week! Today is the feast of St. Susanna (not currently on the calendar, but still the feastday! ), my mom's patron saint. Tomorrow is the feast of St. Jane Frances de Chantal, my mother-in-law's patron saint. So happy patron saint day to them both! How does your family celebrate baptismal anniversaries and patron saint days? Yesterday we celebrated St. Philomena's feast day (another one currently not on the calendar) for our youngest daughter. We had a little treat after dinner.